The Dewhurst Group is a global geophysical exploration company that specializes exclusively on site selection for geothermal exploration and geothermal power development. The Dewhurst Group consists of a team of geologists, engineers, and geophysicists that integrate geophysics, geologic mapping, and geochemistry to pinpoint geothermal sources for electric power generation. The group relies heavily on both broadband magnetotelluric (BMT) and low frequency magnetotelluric (LMT) instrumentation. MT instruments are designed and built in collaboration with the Russian Academy of Sciences and Vega Geophysics. Typically, the instruments are capable of acquiring resistivity values from a few meters in depth to many kilometers. With the LMT equipment it is often possible to gather data at depths as far down as the Mohorovicic discontinuity, the boundary between the Earth’s crust and mantle. Information at such depths can be helpful in understanding the tectonics that might drive a shallower geothermal source and related “plumbing” system. With well over 100 years of collective experience among principals, The Dewhurst Group has participated in projects all over the world. These include an exploration study for the State of Montana in order to assess the viability of developing the first geothermal power plant for the state, geothermal exploration in the Basin and Range province of the Mojave desert, and an innovative project near Jemez, NM. The Jemez project was part of a Department of Energy grant and the work was in collaboration with TBA Power, Inc. and the Pueblo of Jemez. Of more local interest perhaps, the company has just completed exploration work near Buena Vista and Salida, CO for Mt. Princeton Geothermal, LLC. These resistivity imaging surveys are perhaps the first to be conducted in Colorado, exclusively for geothermal exploration. 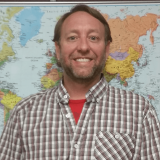 According to the company’s founder, Warren T. Dewhurst, Ph.D, P.E., Golden Software products have played a key role in the company's work from the very beginning. While a graduate student at the Colorado School of Mines, he used the first iteration of Golden Software products. Conceptual cartoon of how MT data are gathered in the field at stations along profiles. The Dewhurst Group employed a four-phased exploration approach at Jemez, NM. The first phase used geo-electric strike and dimensionality analysis to design and test the survey location. During Phase 2 the data was collected at over 150 stations throughout the survey area, approximately 37 km2. Once all of the pertinent information was gathered, the group analyzed and modeled the results. The Dewhurst Group utilized Golden Software’s MapViewer, Grapher, Surfer, Didger and Voxler throughout the project. 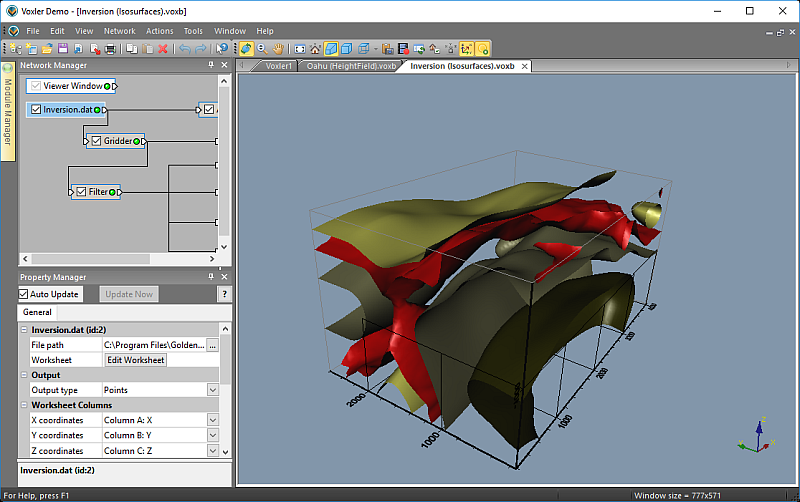 During the analysis and interpretive phase, Voxler was used to generate 3-D renderings all 1-D, 2-D and 3-D inversion results. 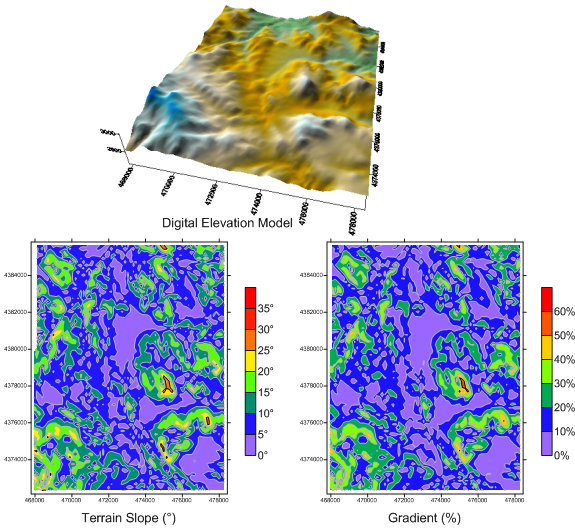 The various models were compared and integrated to generate a resistivity imaging model of Earth’s subsurface at the Pueblo. The final imaging model, shown below, was interpreted and provided to the client. 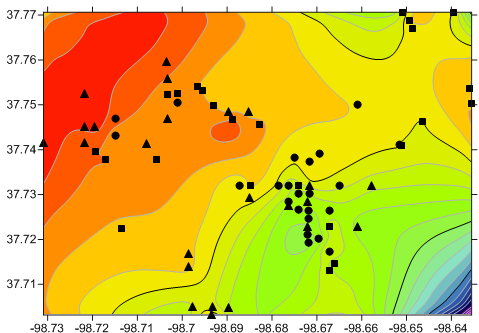 Theiso-surfaces within the image depict different resistivity zones. 3-D image of subsurface resistivity at the Pueblo of Jemez. Red shows areas of low resistivity, often associated with geothermally altered cap rock or a concentration of geothermal brine. Target area shown at a depth of 1800m and “X” marks the spot to drill. 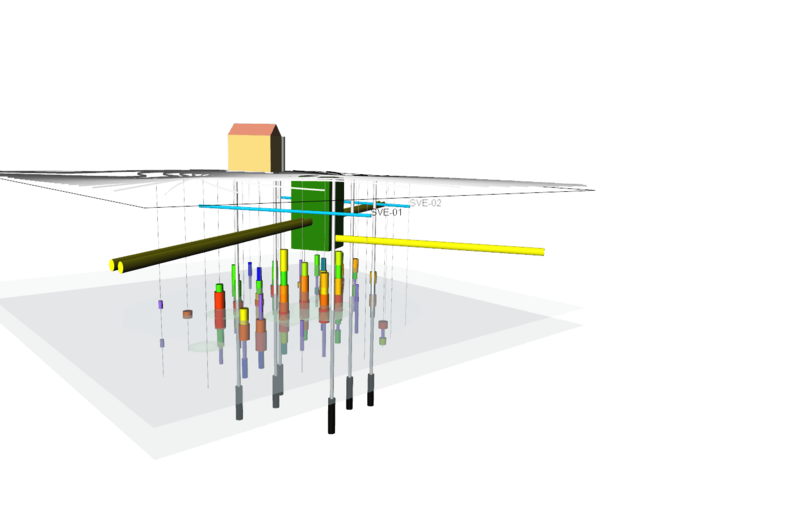 The Dewhurst Group credits the visualization tools available within Voxler for helping locate an optimal drilling depth and target location. Notably, the resistivity results generated by their data and displayed with Voxler were later confirmed by further exploration that included a subsequent seismic survey. For more information about the Dewhurst Group, please visit their website.